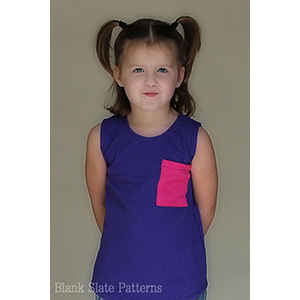 The Blank Tank is a great beginner sewing pattern that features front patch pocket, twin-needle topstitching, and a curved hem. 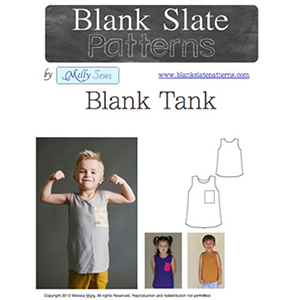 Sizes 18m-8 years. 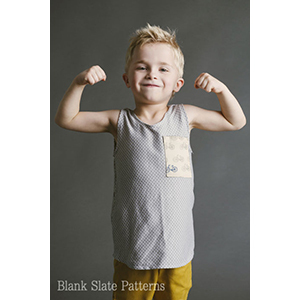 Suggested fabrics are light to mid weight cotton jersey knit fabric. 3/4 yard maximum for all sizes. 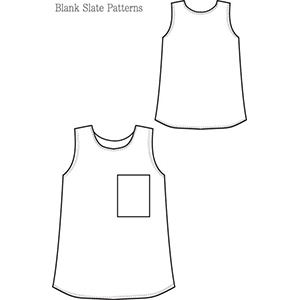 This is a PDF pattern you can print at home on 8.5" x 11" paper or A4 size paper. There is a 3 download limit per purchase so please remember to save your patterns.